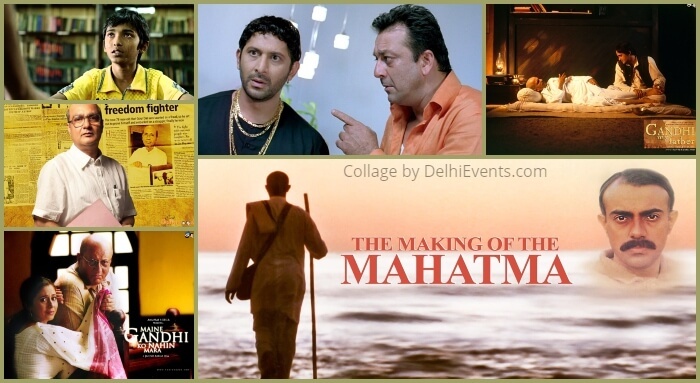 Event Description : FILM FEST "Gandhi Revisited"
Mohandas Karamchand Gandhi passed away full 70 years ago. And in 2019 we will celebrate 150 years of his birth. Acknowledged as the Father of the Nation, Gandhi was showered with the honorific of Bodhisattva because of his crusade for Ahimsa. Increasingly the philosophy he lived and died by has come to be seen as the only balm for the world where violence seems to be growing by the day. But to the average Indian born after 1997? Tolerance, non-violence and honesty - experiments with truth - are forgotten hallmarks of moral fibre. Is 'Gandhi's then merely a face on the currency note? Or the high street of every Indian city? Schedule from October 1 to 9.